The governor of Okinawa has used a trip to Washington to reiterate his opposition to the heavy presence of US military bases on the island, urging all Japanese citizens to rethink security arrangements between Tokyo and Washington. Outspoken Governor Takeshi Onaga arrived in the US earlier this week, holding a press conference to convey his discontent with the high number of US military bases in Okinawa, which hosts 74 percent of Japan's total US military presence. "I think all Japanese citizens should think about the Japan-US security arrangements. US military bases occupy 6 percent of the whole of Japan and 70 percent of those US military bases are in places where the population density is about the same as Tokyo. I don't like it anymore…” he said in response to a question from RT's Gayane Chichakyan at a press conference. He went on to cite jet crashes related to the US bases, as well as sexual assaults which have been linked to US soldiers since World War II. 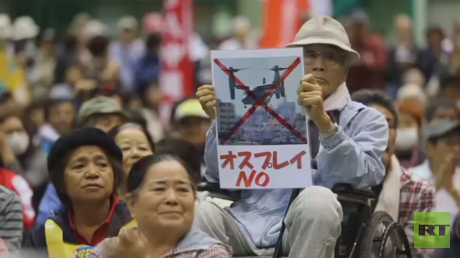 Onaga and citizens of Okinawa have long protested the heavy presence of US military bases and troops on the island, with mass demonstrations drawing thousands last year. 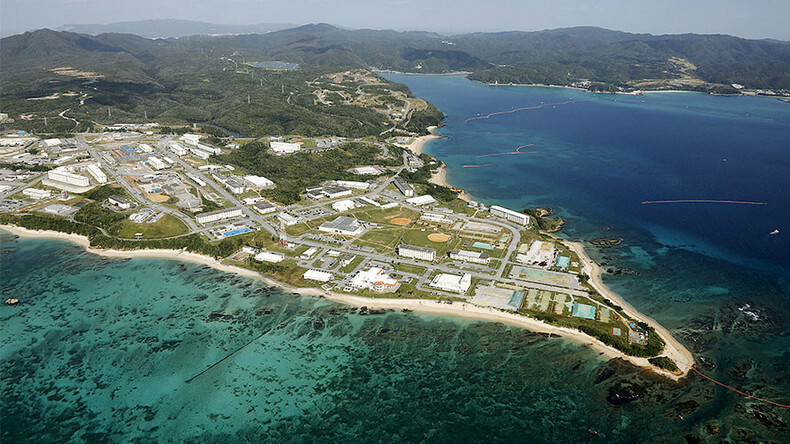 Of particular concern is the planned relocation of the US Marine Corps Futenma Air Station from Ginowan to the less-populated area of Henoko, in Nago. Onaga is against the relocation, stating it would destroy the environment of the bay surrounding the new site. In December, the governor was defeated in a lawsuit filed by the central government regarding the air station, with Japan’s Supreme Court finding that it was illegal for Onaga to revoke the approval granted by his predecessor, Hirokazu Nakaima, for land reclamation required to build replacement runways at the new base. But Okinawans could soon see their hopes answered, if President Donald Trump follows through with a campaign statement in which he said that he wants foreign nations to pay for US presence and protection in those countries. Instead of seeing Trump's statement as a threat, Okinawa policy adviser Moritake Tomikawa said a withdrawal of US troops would suit Okinawans just fine. "Mr. Trump says if Japan doesn’t pay more than he's going to withdraw the troops from Japan. As far as Okinawa people are concerned, that's fine..." he said. It is unclear, however, where Trump stands on the specific Okinawa issue. The new defense secretary, James Mattis, is currently in Japan, though his views on the issue also remain unclear. Japan spends an estimated $1.5 billion a year on the US bases, while Washington dished out around $5.5 billion in 2016, according to the Pentagon.